Sometimes we are left with excess rice after meals. There are several recipes in our Indian kitchen to use the leftover rice. Most common is the fried rice. Onions are fried and in goes some beans, mushrooms and spring onions. This is a delicious recipe in itself. We also make paranthas with the leftover rice. Sometimes leftover rice is added to the dough and a bread is baked and we love its soft crumb. Last time when we had a good amount of leftover rice, we baked crackers. I read the recipe here and was very keen to try. The crackers turned out crisp. 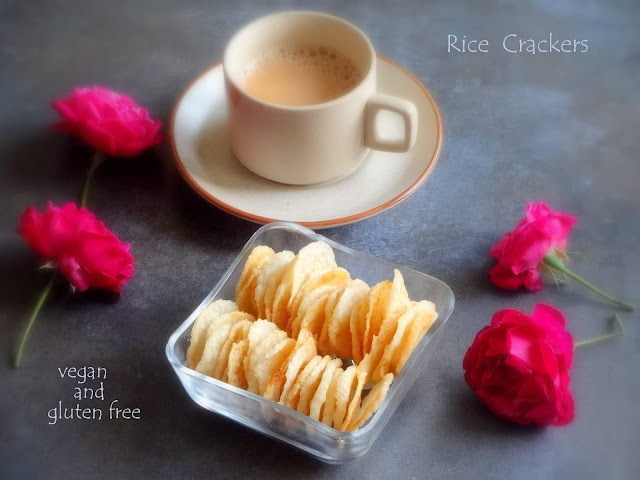 Unbelievably easy to make, healthy, vegan, gluten-free rice crackers are crisp and delicious and make a great snack especially for those who love the simple bland taste. 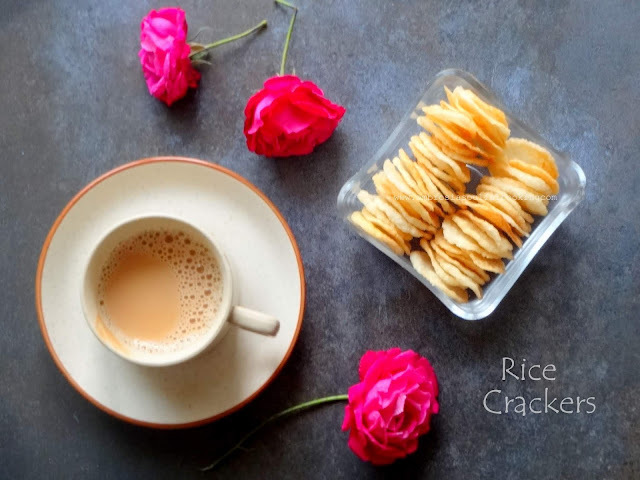 Rice crackers make a great tea time snack and kids love it. 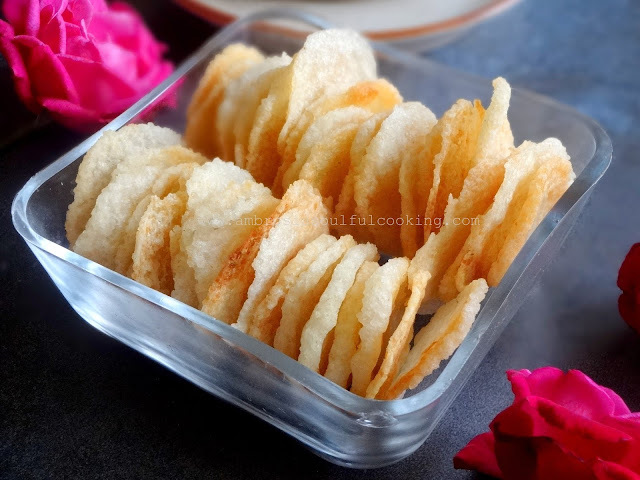 To make crisp crackers, ensure that the rice should be well cooked, fluffy, not mushy. The dough should not be wet and sticky. 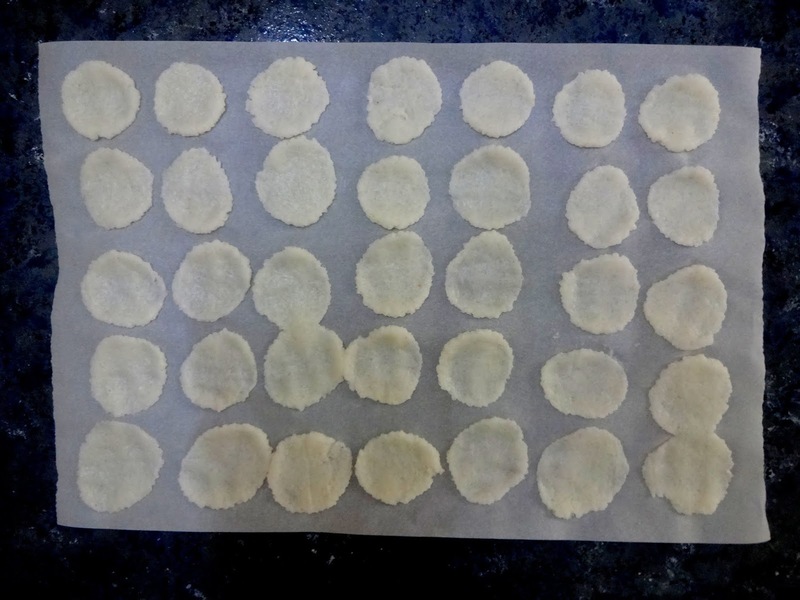 Press with the parchment sheet to get very thin crackers. Thick crackers will not bake well and will be chewy. Salt should be on the lower side and one pinch is just enough. Take rice in a blender. Add coconut oil and salt. Blend the ingredients to get a mixture of dough like consistency. Take the mixture out on a plate. 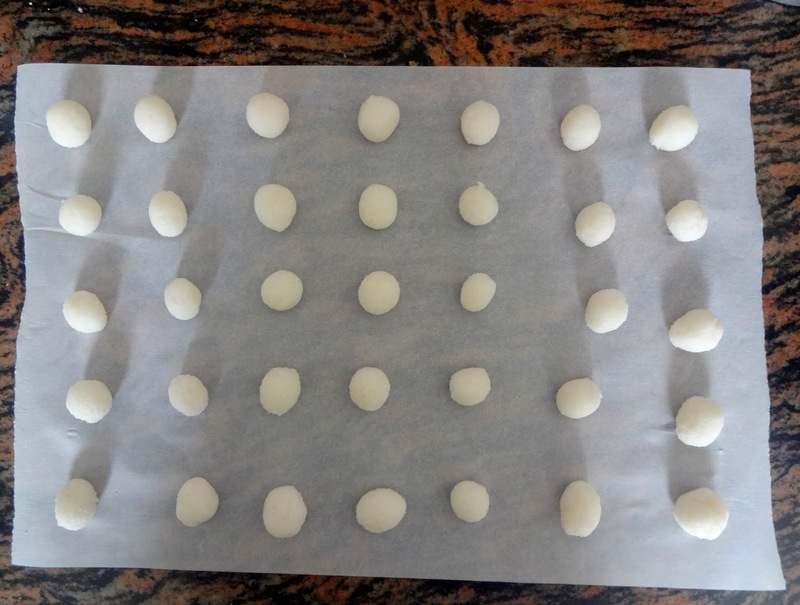 Preheat oven to 180 degrees C.
Line a baking tray with a parchment sheet. Cut another parchment sheet of the same measurement and keep aside. We will use this later. Scoop out half a teaspoon of the dough and roll into a ball. Place the rice balls on the baking tray keeping a little distance between each. Bake for 20-25 minutes or when the colour changes to golden. Cool on the tray and store in an airtight container.